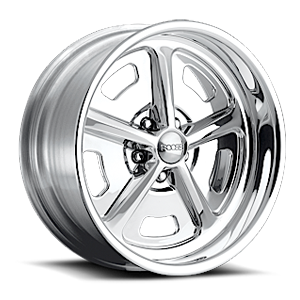 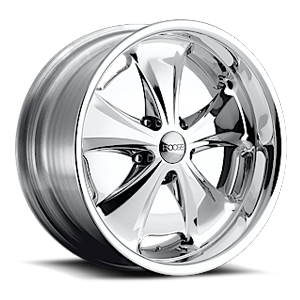 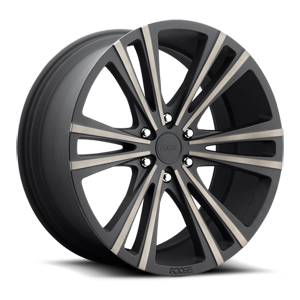 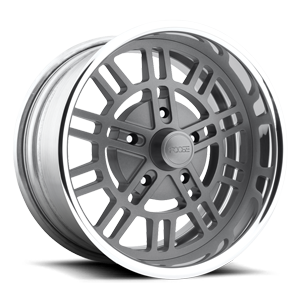 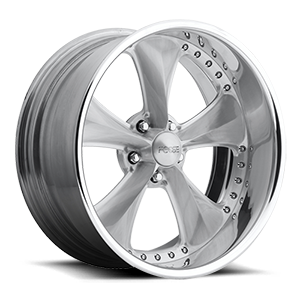 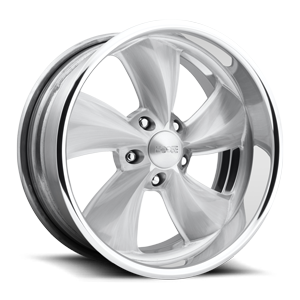 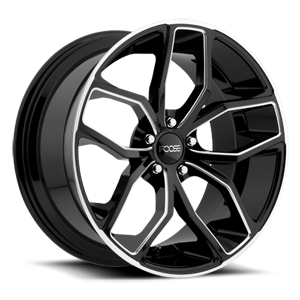 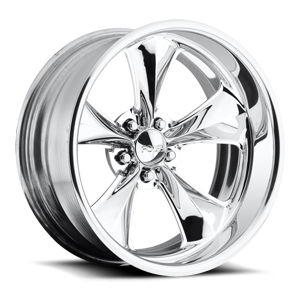 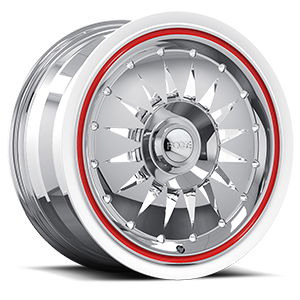 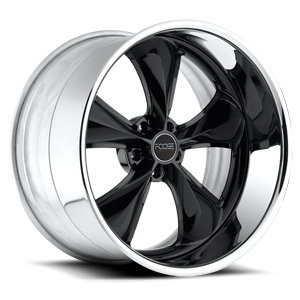 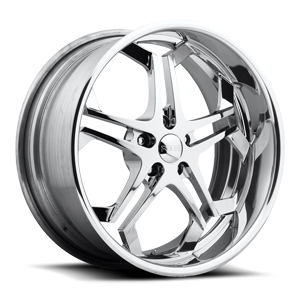 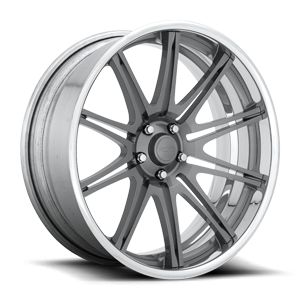 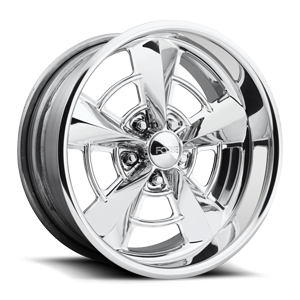 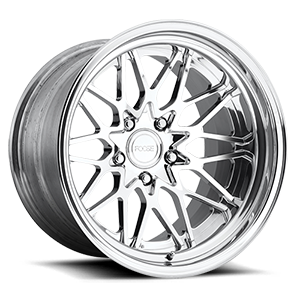 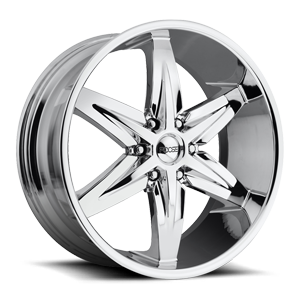 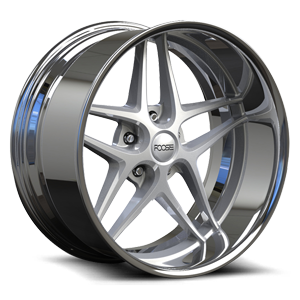 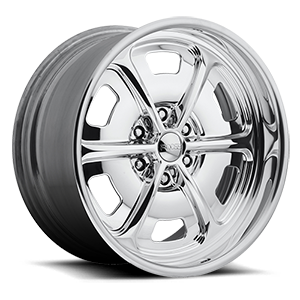 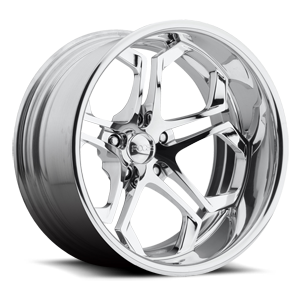 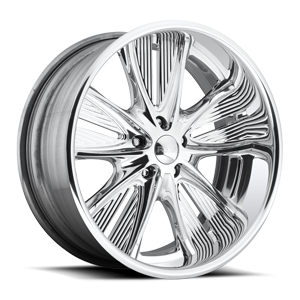 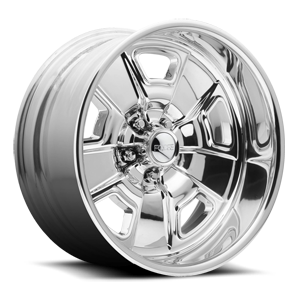 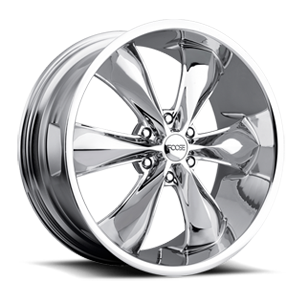 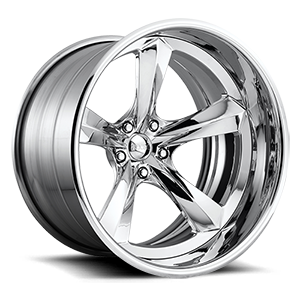 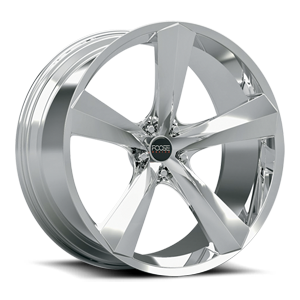 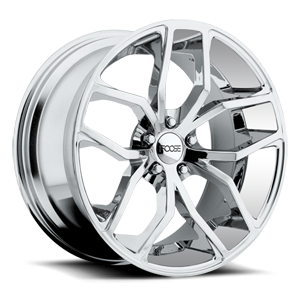 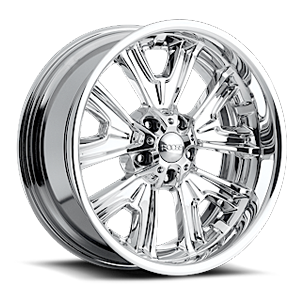 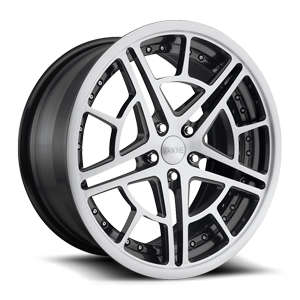 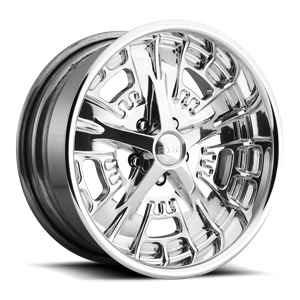 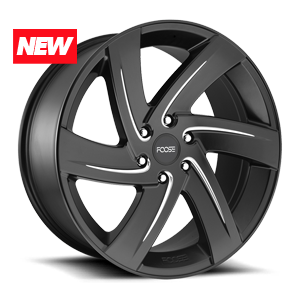 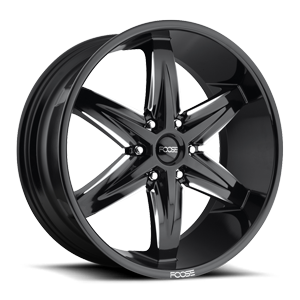 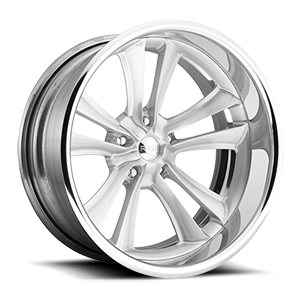 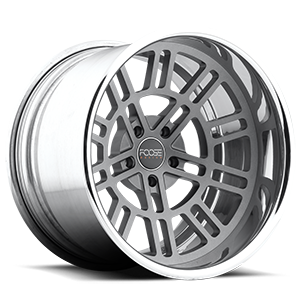 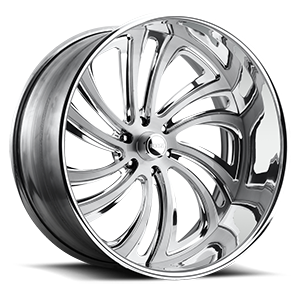 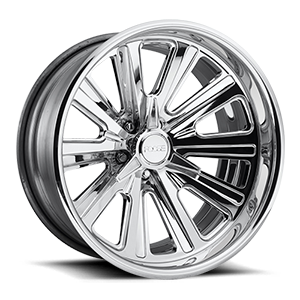 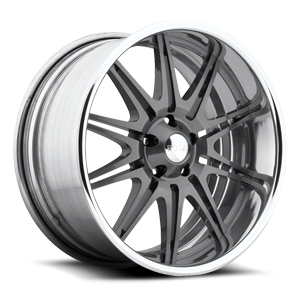 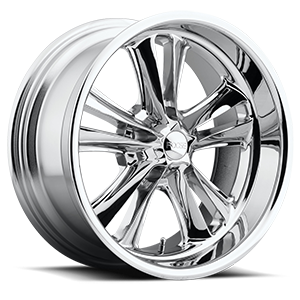 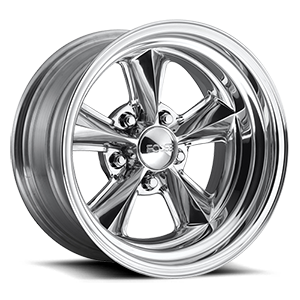 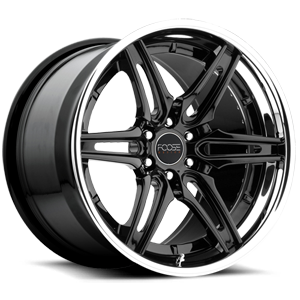 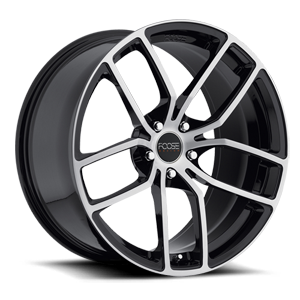 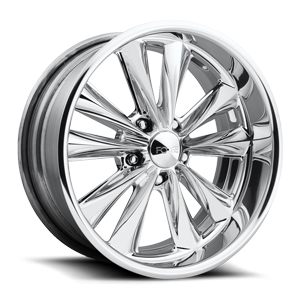 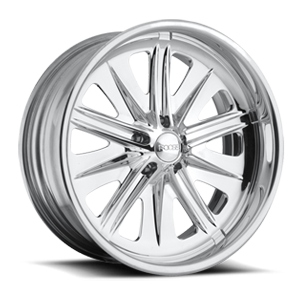 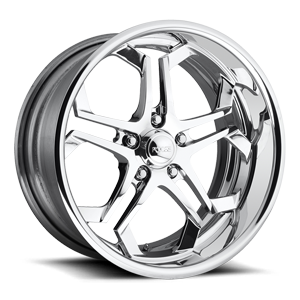 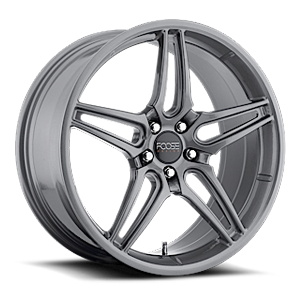 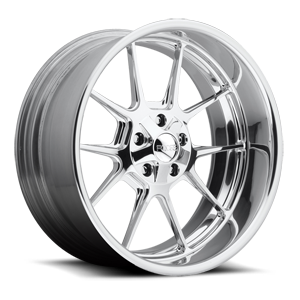 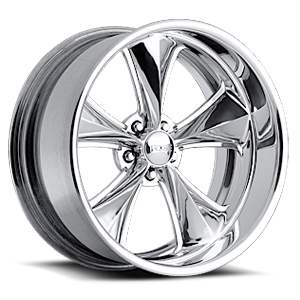 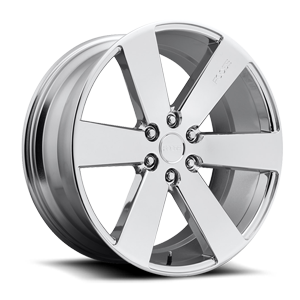 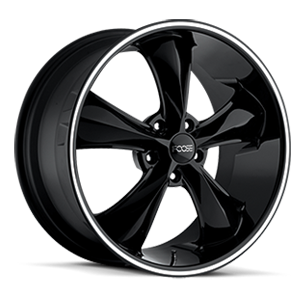 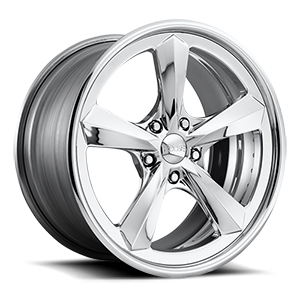 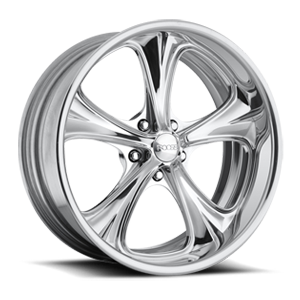 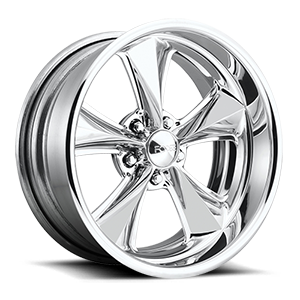 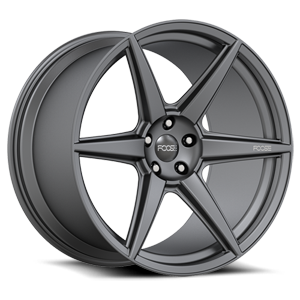 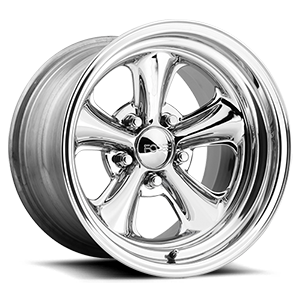 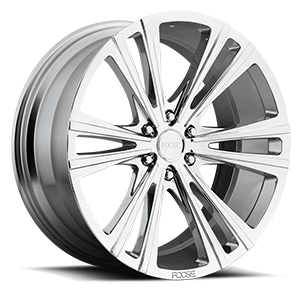 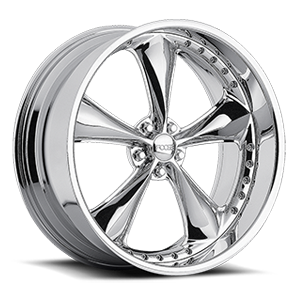 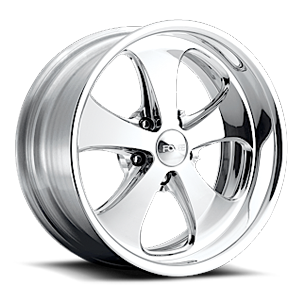 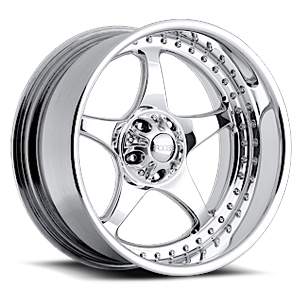 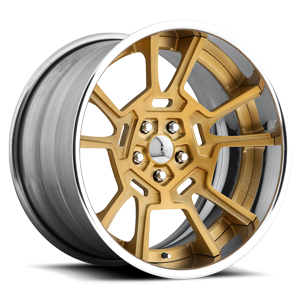 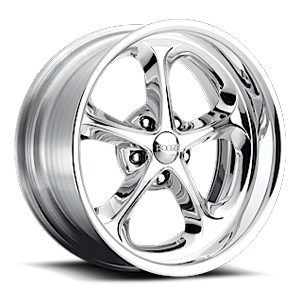 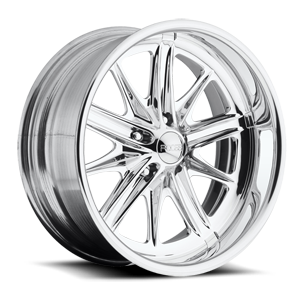 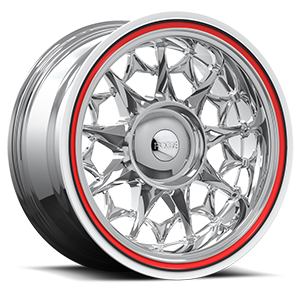 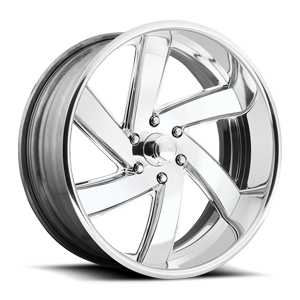 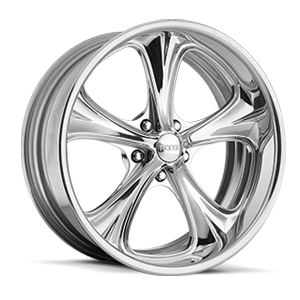 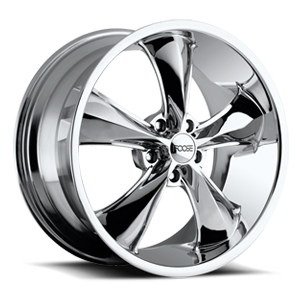 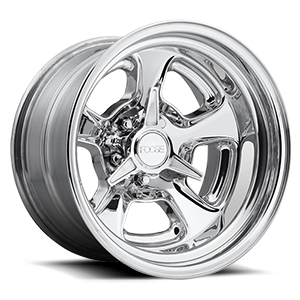 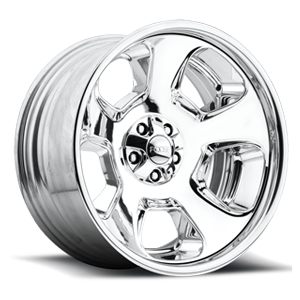 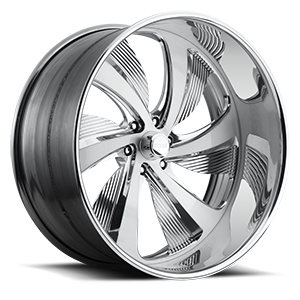 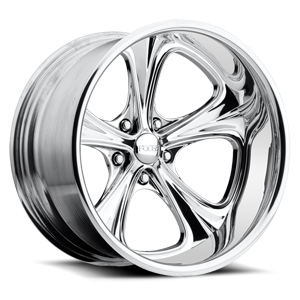 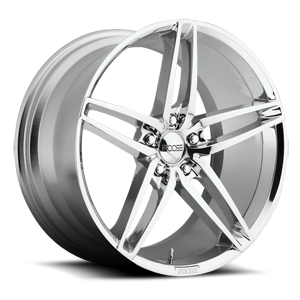 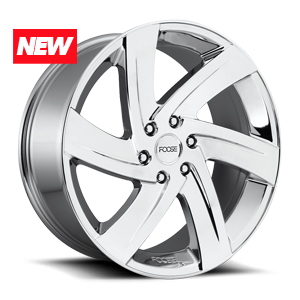 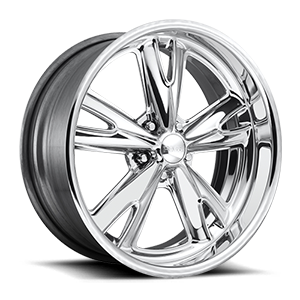 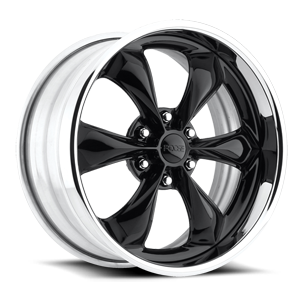 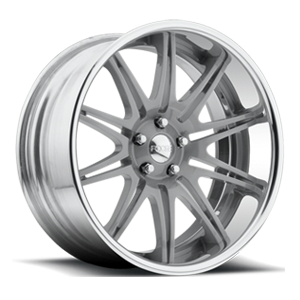 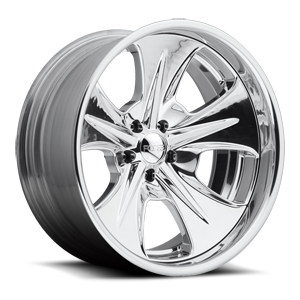 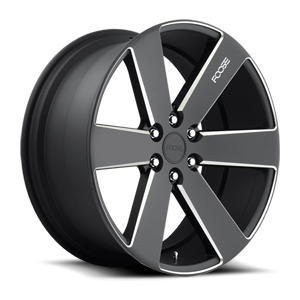 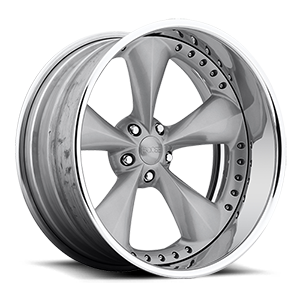 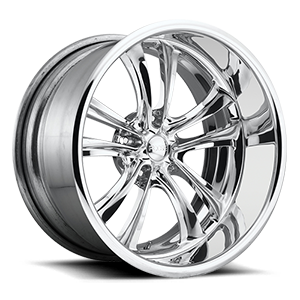 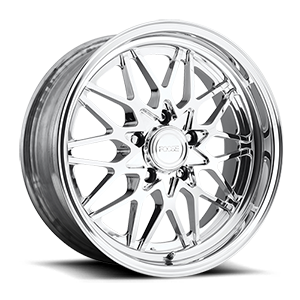 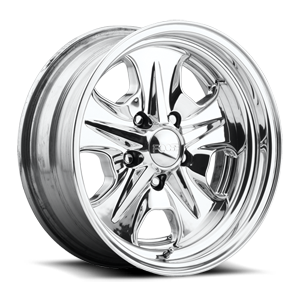 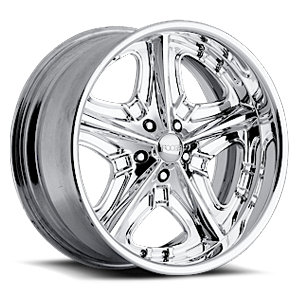 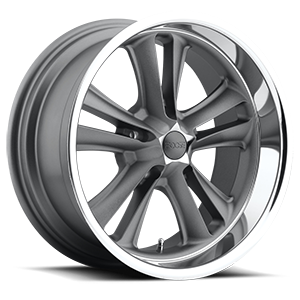 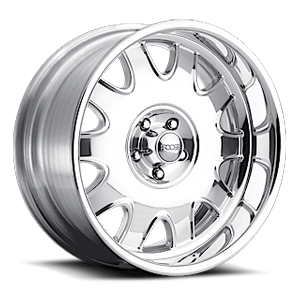 Foose Rat Pack wheels are 2 pc. 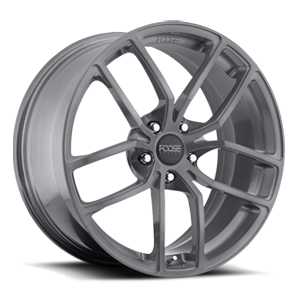 forged mono.2 construction. 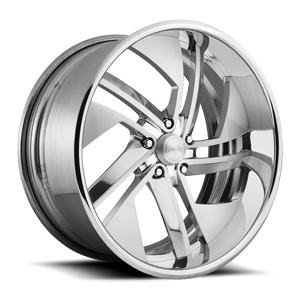 The faces are machined from billet aluminum and are blind bolted from the backside onto spun forged inner barrels. 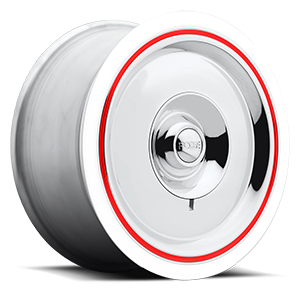 The lip is painted white with a red strip, simulating the look of a white wall tire. 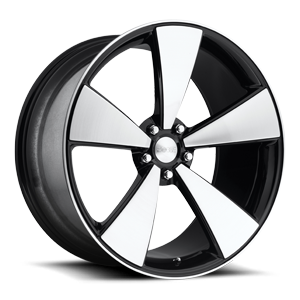 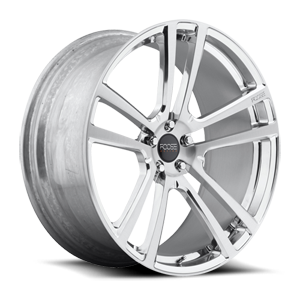 High performance low profile tires can be used on larger diameters wihtout losing the white wall appearance.